New article in the Evening Standard! Historic riches: Will Carrier will lead a team to survey the first wrecks off Ireland. A daring salvage operation is about to be launched to recover £4.5 billion of British wartime gold from wrecks in the north Atlantic. In one of the most ambitious marine operations of its kind, the crew hopes to identify and eventually raise the first of three hauls of gold bullion with an estimated weight of 15 tonnes. Surveys will hopefully confirm the bounties that researchers believe are in the wrecks of the merchant ships that transported secretive cargoes to allies during the two world wars. 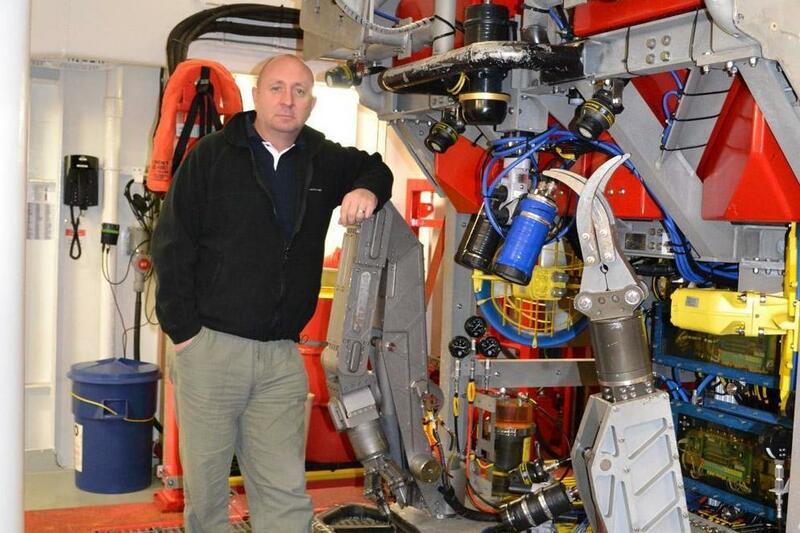 Deep-sea hydraulics and robotics will be used to reclaim the gold. The salvage plan is the culmination of 25 years of research by a handful of marine experts who claim to have mapped more than 700 ship wrecks with untold riches. If the initial operation on the three wrecks off the coast of Ireland proves successful, the team hopes to salvage cargo from 20 prime sites across the world using top-secret data to recover as much as possible of the estimated total £180 billion that was lost. London financier Philip Reid is backing the £15 million expedition after securing private investment and the services of three of the largest salvage firms. Mr. Reid, chairman of Britannia’s Gold, said: “The real feeling is of intrigue at the moment. Britain has sent an astonishing amount of gold overseas during both wars. It was so secret very few people were aware of the gold cargo, including the countries it was being sent to. The people involved are now dead. "The rewards for this could be extraordinary and not just the financial value. It is the individual stories of each ship which are fascinating. Who sunk them?" Secret cargoes of gold would be shipped along colonial trading routes to pay for weapons and supplies. The cargo was insured by the British government under its war risk insurance programme meaning they paid out on the original wrecks and will be due a percentage of whatever is recovered this year. The remainder of the recovered gold would provide a healthy return for early investors and marine charities. Next week’s expedition will be led by Will Carrier, 50, who was part of the recovery operation after the Russian submarine Kursk was lost in the Barents Sea in 2000. He will head an initial crew of 30 to survey the first wrecks, using acoustic wave technology to create 3D maps. If the data proves accurate, a salvage operation later this summer will involve a crew of 60 based on a 400 feet “mothership”. HMS Edinburgh, sunk by German U-boats in 1942, was salvaged in the early Eighties and bullion worth around £63 million was recovered.